British PLO pro, Bren 'YaAaRnY' Lenton, recently took to 2+2 with an interesting prop bet. 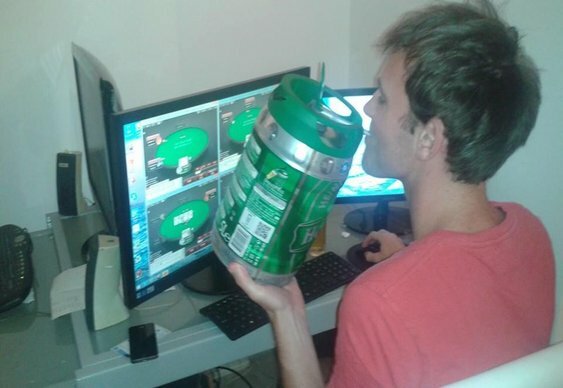 Confident in his skills and looking for some action, the online grinder proposed the following conditions: he can make a 100 buy-in profit at $5/$10+ over the course of 31 days. To clarify the wager and define its terms further, Lenton went on to state that he will have to play a minimum of 70,000 hands and that he cannot play at any heads-up only tables. Additionally, the odds of the bet will be 2:1 in Lenton's favour. Almost as soon as the best was proposed a slew of players rushed to bet against the PLO hopeful, including Isaac Haxton who personally has $85,000 on Lenton failing. After a flurry of betting, Lenton will now be putting up $100,000 against a combined $200,000 from various members of the poker community. The action is currently underway and Lenton will be providing regular updates via a thread on 2+2 as well as his Twitter handle, @YaAaRnY.